There are hotels and then there are hotels. Some of them even call themselves luxury hotels. 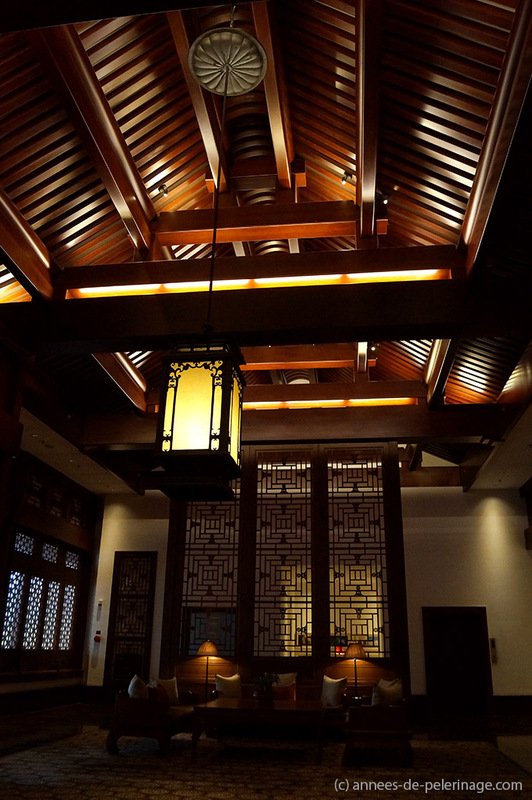 The Aman Resort at the Summer Palace in Beijing, however, offers way more than that. 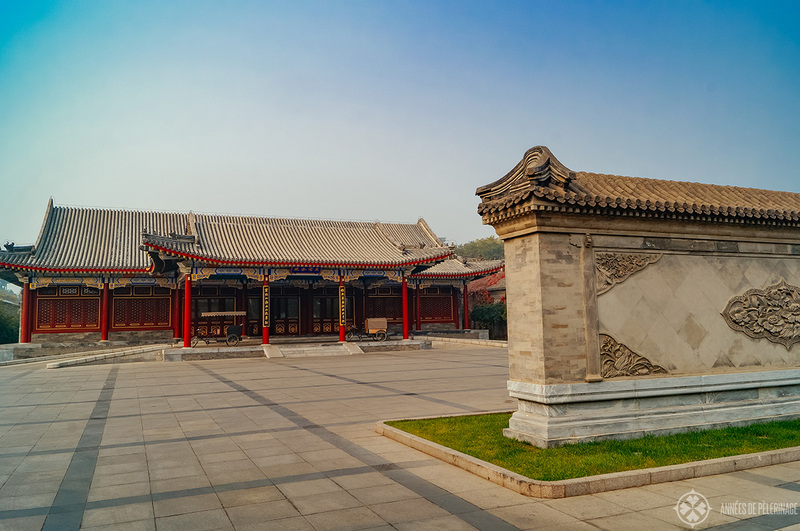 It is a full-fledged 6-star luxury retreat right in the middle of the historic Summer Palace – scenic, outstanding, quiet and perfect in more than one way. 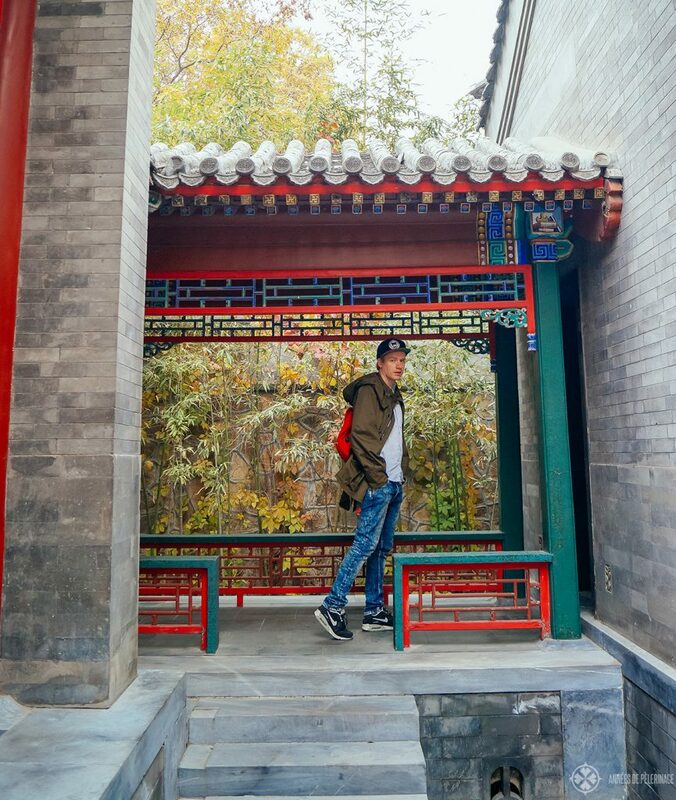 Here is my Aman at Summer Palace review. If I was to name my favorite modern luxury hotel chain, then surely Aman would first come to my mind. They don’t do discounts, they don’t do booking.com, they don’t do crass advertisement, they don’t do big hotels and they don’t do ostentatious. Instead, they focus on small boutique-like luxury retreats – always in a spectacular historic setting submerging you with an abundance of impressions no other tourist ever gets to experience. To me, Aman always feels like visiting family and not like being in a hotel. That as well is part of their philosophy. The Aman at Summer Palace in Beijing is a perfect example of this philosophy. 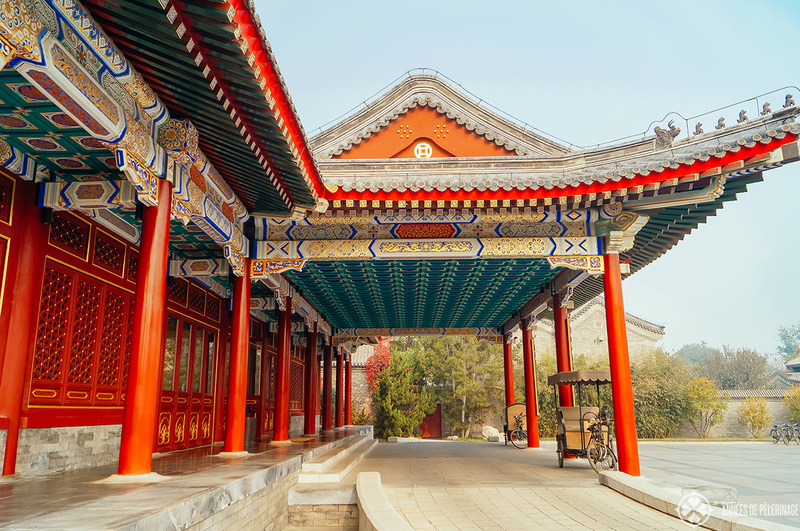 Each day ten thousands of tourists come to visit the Summer Palace – gawking at the splendor of the Chinese emperors. Probably all of them will wonder how it must have been like to live in such a place. This Aman resort actually gives you the chance. 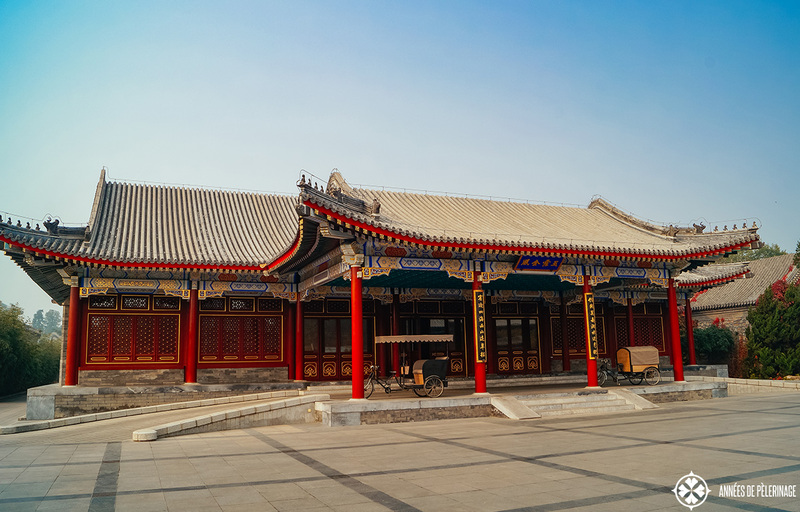 The hotel, if you can still call it a hotel, is located in a part of the Summer Palace that used to be spared for visiting foreign diplomats and servants. Aman Resorts worked together with the Chinese Government to restore this section of the grounds. The managing director of the Resort told me that the government actually took over the costs – Aman just manages the grounds. 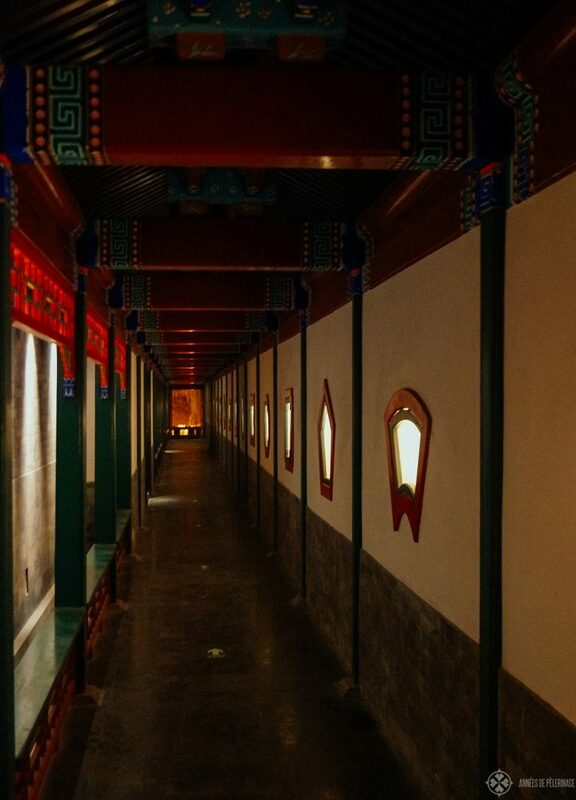 All hotel rooms are genuine quarters of the Summer Palace. They have been expertly restored and fitted with a modern take on traditional Chinese furniture – needless to say, that the villas are beyond amazing. Each one is located in its own little courtyard. 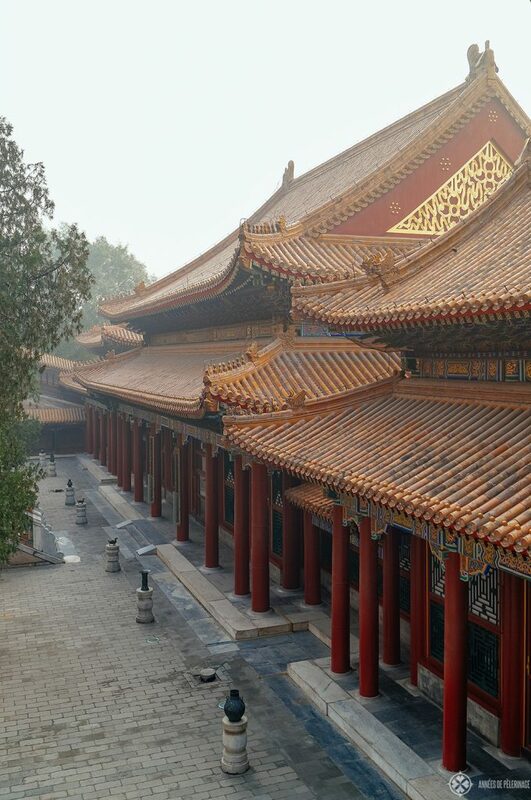 If you have been to the Forbidden City (check out my report here), the design will ring more than just one bell. The bathrooms of each room are worth a mentioning as well. Intricate, but pleasantly minimalist, lattice-work creates a unique atmosphere that makes you feel like the Empress Dowager herself. 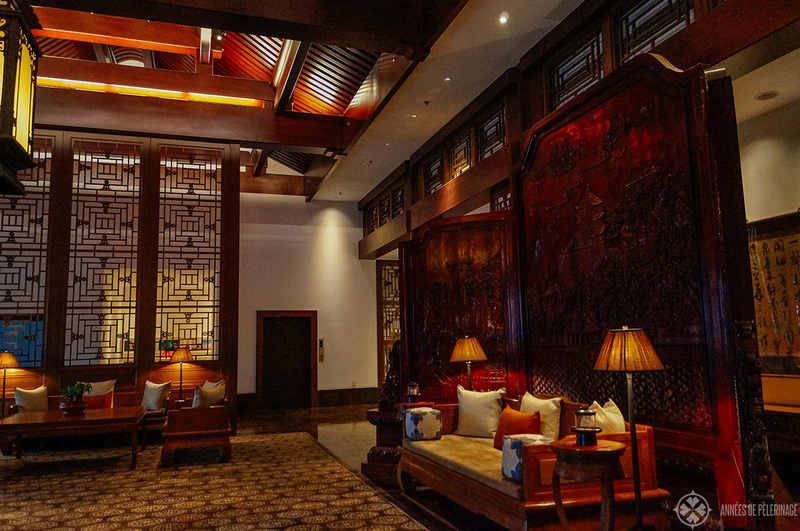 This serves as a good example of the whole interior design of the hotel – it seems like they extracted the marvelous core of Chinese kitschy splendor and distilled it into a pleasing backdrop for your private Summer Palace experience. Nothing whatsoever will distract you from your missions – not the design, not the staff and certainly no noise. The rooms as a whole are quite pleasant as well (and look at those high, high ceilings). I had a courtyard suite but I believe even the smaller rooms will be spectacular. I got no detailed information at hand but I believe even those small rooms will have 60m². Check out their site for more information. The Aman at Summer Palace is famous for its spa. If I remember correctly they did win a couple of spa awards. And let me tell you: I have never in my whole life experiences such a beautiful spa. Four Seasons, Six Senses, Ritz Charlton – I have been at all of them. Comparing the spa of the Aman at Summer Palace with the spa of your average 6-star luxury hotel is like comparing a VW Beatle with a Maybach. This hotel is located inside one of the top UNESCO World Heritage Site. So, of course, they had to be very smart about building a spa. What they did was develop a gigantic underground spa on three levels. I feel like I am being quite conservative when I say the pool & sauna area on the first floor alone is roughly 20.000 m² big. The treatment rooms and the gym are located on a lower level – probably again just as big. And you basically all have it to yourself since there are so few rooms in the luxury hotel. I honestly don’t want to know how high the costs for developing such a spa must have been. I happen to know, however, that this hotel was never intended to actually make any money. So, go figure guys. I booked two treatments at the hotel (one full facial and one massage). Prices were actually comparable inexpensive. The treatment rooms have their own miles long (okay probably 40 meters) candle little access aisle and are roughly 200 square meters big. 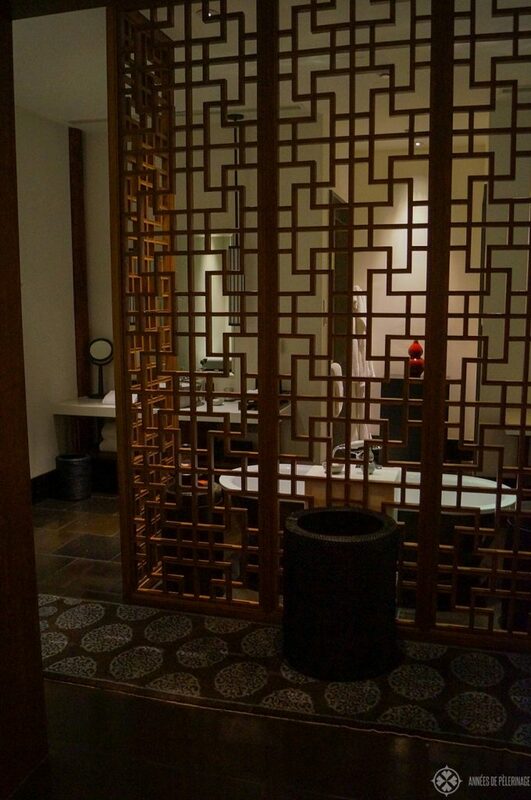 Each treatment room has its own antechamber, changing room and bathroom. Definitely, book it on your stay – you will not regret it. Of course, a hotel review of the Aman at Summer Palace Beijing wouldn’t be complete without mentioning the food. The hotel offers three different restaurants – each of them worth trying out. Don’t expect 3-star cuisine but rather food worth its money. 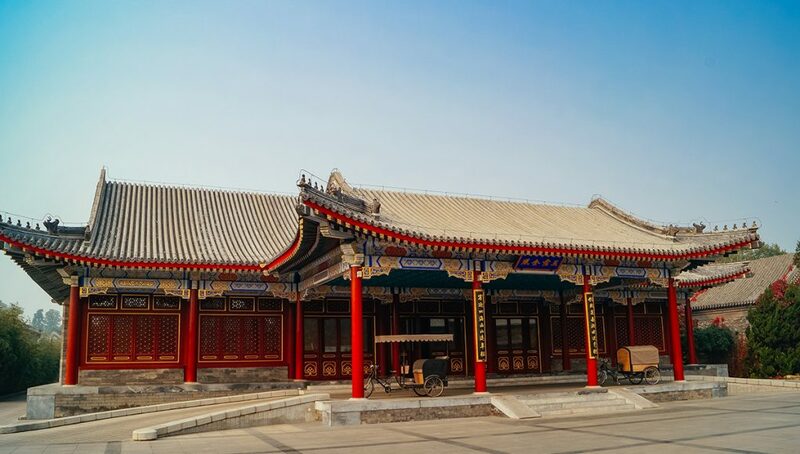 The setting in the historic buildings of the Summer Palace thoroughly enhances the whole experience, as you can imagine. They offer a pleasant mix of traditional Chinese food and western classics. Now I could waste some more lines on detailing the other highlights of the hotel – like a private cinema, a drawing-room for calligraphy classes or an outstanding tea pavilion (pictured above). If you are used to 6-star luxury hotels none of them will really come as a surprise. The staff, to mention that at least, was friendly, English speaking and did (for Chinese standards) their job quite well. 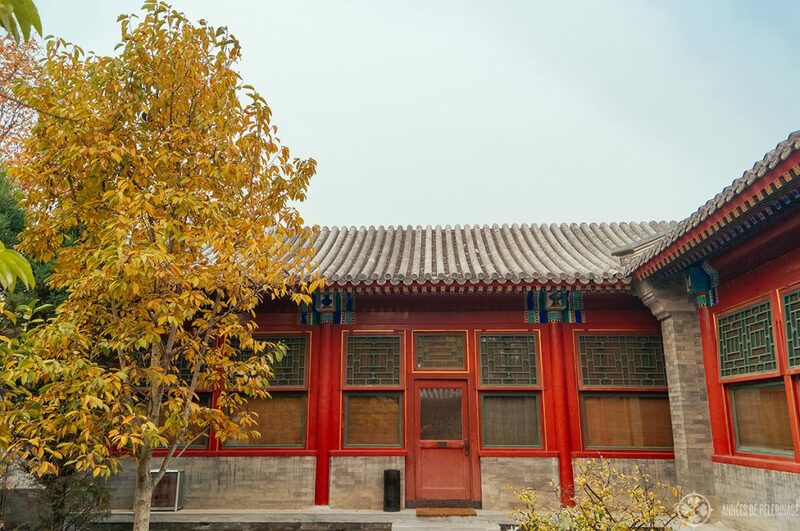 They still lack the refinement of some European luxury hotels, but I guess you have to give a young hotel like the Aman at Summer Palace some more years to grow into itself. I’m quite positive that later hotel reviews will have a more exuberant opinion. So instead of rambling on about the given luxury benefits, I will talk about the most important reason to stay at the Aman at Summer Palace. 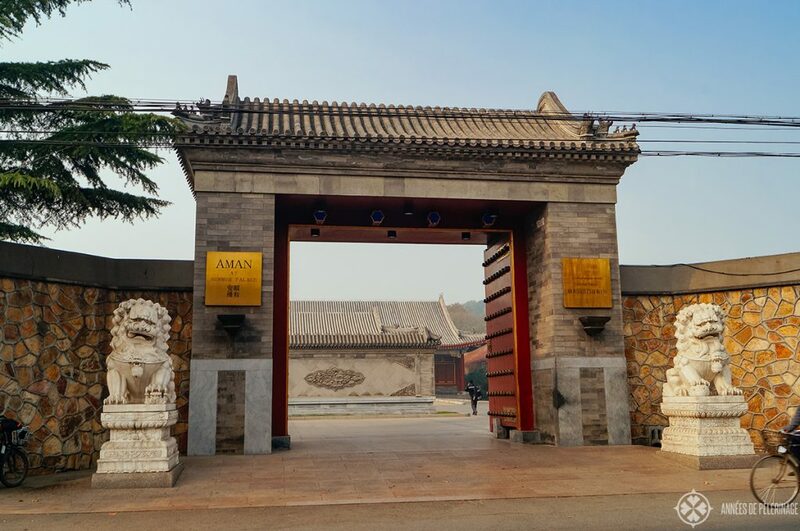 The name alone says it all: This Aman hotel is located inside the Summer Palace. This will give you the unique opportunity to enter the Summer Palace before every other tourist. 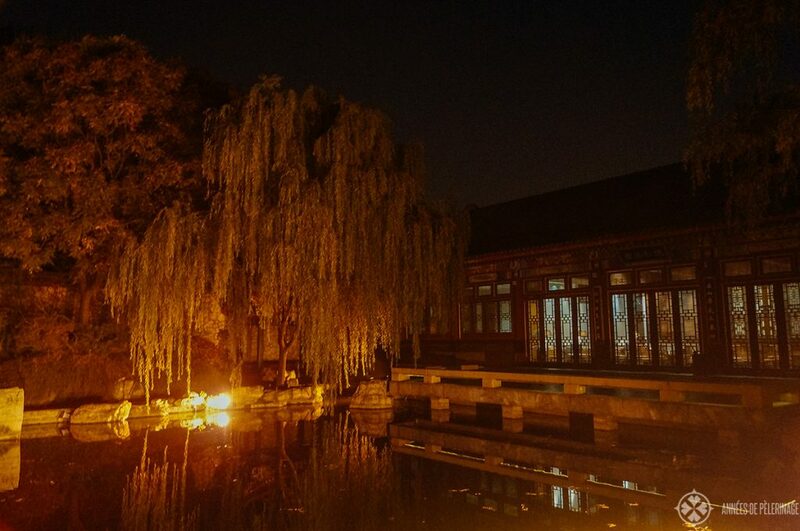 Naturally, you will be able to walk the Summer Palace after nightfall, when the doors are officially closed to common tourists, as well. A porter will guide you to the private access point of the Aman Resort to the Summer Palace, outfit you with a Chinese mobile phone and let you in when nobody else is inside. This, and mark my words, this is the real reason you should pay the 600 upwards Dollars per night. When you want to get back in, you just will go back to that really nondescriptive door, ring the phone and someone will get you back in. What a service! Since we are talking about service: I also booked a tour to the Great Wall during my stay. Naturally, Aman will get you to a part of the wall that is not brimming with tourists and will provide a luxury limousine. I really enjoyed the ride and the whole experience – the driver even talked some English. There is no way around recommending Aman at Summer Palace from the bottom of my heart. 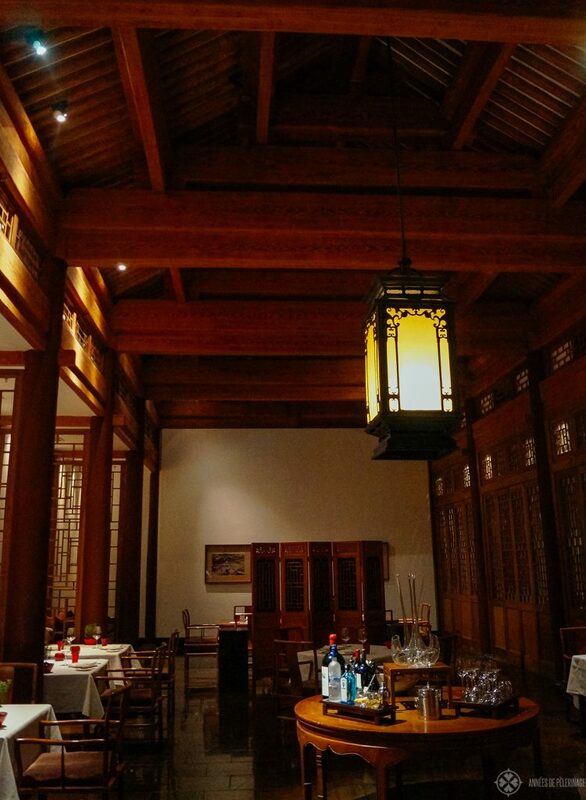 It will give you the unique opportunity to experience a tiny portion of what it must have felt for the Chinese emperors to live in the palace. Ask yourself: Where else in the world can you actually sleep in a UNESCO World Heritage site? The hotel is not cheap – but obviously, no true luxury hotel is. 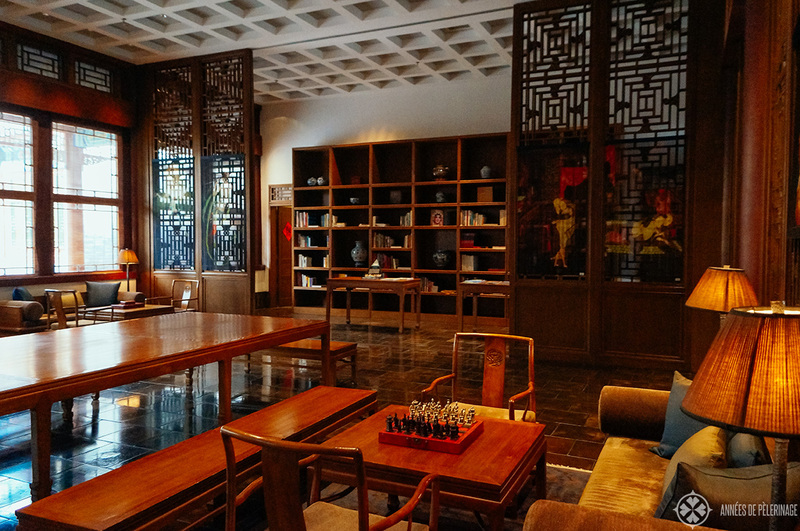 Especially when you are on a tight schedule in China’s capital, this hotel will give you the chance to make more of your time there. You are already in the middle of a major attraction you wanted to visit anyway with the benefit of being granted longer opening hours. All in all your stay will feel more like being in a living museum. That, my friends, is certainly worth the extra money! 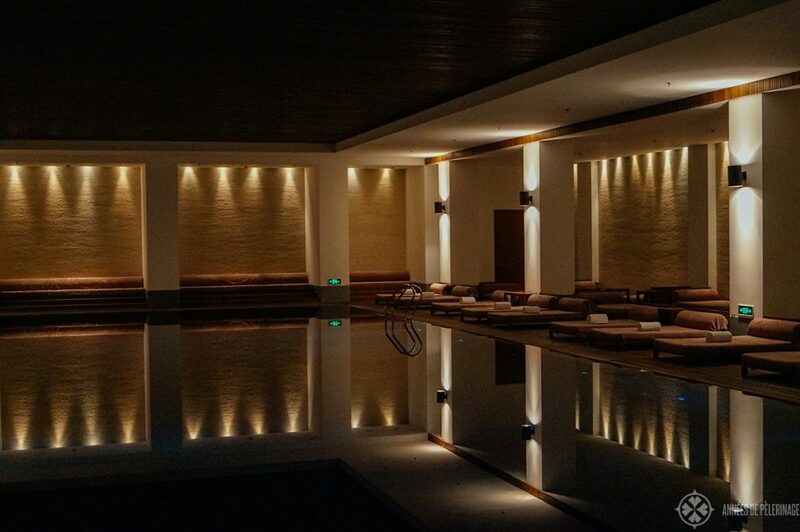 For me, it is the best luxury hotel in Bejing. 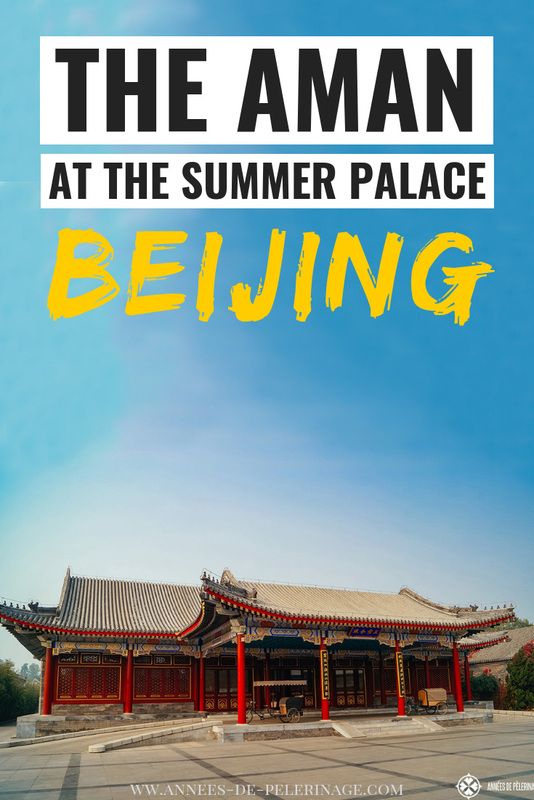 Liked my Aman at Summer Palace review? Share your thoughts in the comment section below.